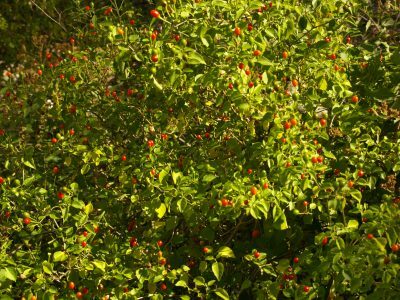 Texas designated the chiltepin (chile tepin) as the official state native pepper in 1997. This native plant includes Chile pequin (and it’s confusing!) but the ones you’ll find in your nurseries will most likely be called Chile pequin. Adaptable to sun, shade, or part shade, it can be a perennial in many gardens. In coldest winters, it may be an annual, but birds may seed its fruits that they love. If it freezes back, its roots may still be alive, so cut back the brown top growth and it will sprout again. The chile pequin in our demonstration garden at the Extension office is about four feet tall and two feet wide and is covered in tiny, flaming-hot peppers all summer long. Ours is growing in full sun, where it produces lots of fruit. It also does well in part-shady situations. 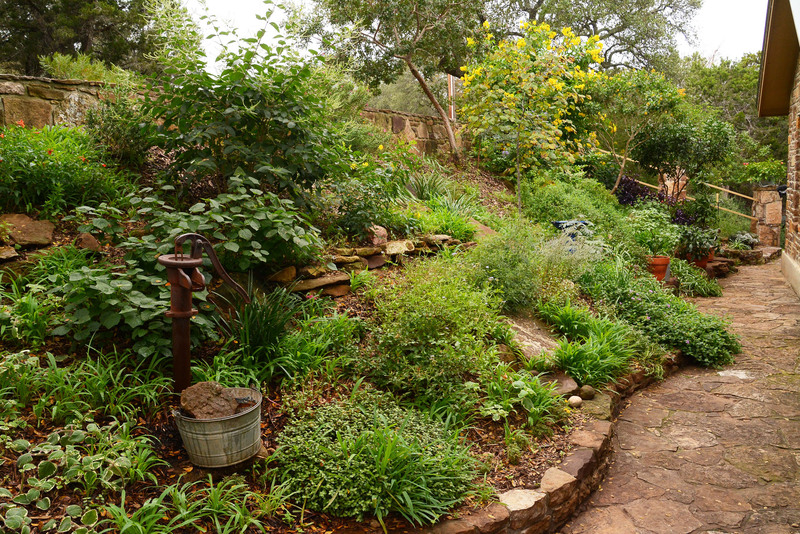 It’s very drought tough, though in dry hot summers, it welcomes supplemental water. As with most fruiting plants, a little fertilizer will help with production, but this plant doesn’t need much to be prolific. 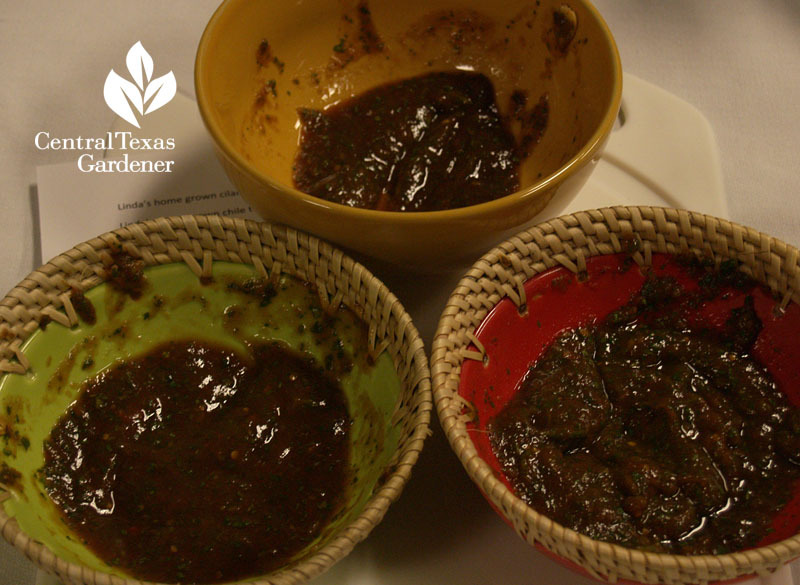 Whichever version you’re growing, here’s a delicious salsa recipe from JJ Weber, KLRU’s Production & Operations Director, and supreme appetizer meister!